Mediumship is constantly evolving and expanding. Through this 3-day advanced master mediumship workshop combined with (10) months continued online education, in-person meet-ups and wrap-up retreat, you will be inspired to reach your greatest potential in communicating with loved ones in the spirit world, heighten your connection and elevate the quality of your life and experiences with Spirit. You will go through intensive development and refinement of your mediumship skills with emphasis as to how to leverage your connection with Spirit to enhance wholeness, health and wellness in all areas of your life as a medium – personally and professionally. This program is an exclusive opportunity for professional mediums who would like to take their mediumship skills, experience, and confidence to a deeper level. It is solely designed for mediums who have already trained directly with me through either a personalized mediumship mentoring program, an in-depth weekend or online mediumship workshop or a previous mediumship retreat subsequent to September 2014. There isn’t anything like this program. Bonnie takes your understanding, skill set and relationship with Spirit to a new level. Stretch yourself and fine-tune your mediumistic abilities! with (10) months of Live Online Continued Education Webinars! Not only will you grow in confidence beyond your current experiences with Spirit, the collective wisdom that is realized will be nurtured and shared together through our group experiences creating a brilliant new vision of ourselves as mediums, our services and contributions in the world. A Certificate in Advanced Master Mediumship will be awarded to all participants who successfully complete this intensive program opportunity along with my personal recommendation! Immerse yourself in mediumship! 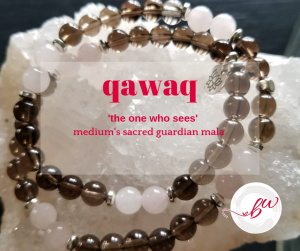 Through my “Spirited Away” Advanced Master Program, you will establish deeper connections to spirit and gain clarity about your unique purpose through advanced master teachings and techniques that will help you propel forward in your life as a medium and truly thrive. Through a combination of my life long education with Spirit and professional experience over the past nine years as a medium, this will be an incredible program will take you on a journey of intensified self-discovery, personal healing and provide accuracy in connections as never before! Spirited Away is customized for advanced level mediums who have previously trained with me. We will delve even deeper into the foundational concepts and information previously shared with you. This program will nurture and encourage you to take your mediumship to a new level. You will be pushed outside of your comfort zone. You will be taught advanced receiving techniques, how to take your mediumship into even greater service in the world and more importantly, learn how to fall forward into trust with yourself, the Universe and Spirit to help you improve every aspect of your life. Build confidence in your abilities with the deeper aspects of mediumship and experiences that help you to provide continued healing to your clients through the profound nature of connecting with the Spirit realm and loved ones on the other side. This advanced master spirit intensive program will provide plenty of hands-on mediumship reading exercises, in one-on-one and various group formats. You will gain clarity by learning to focus your power and receive all of Heaven’s support as you step onto your Soul-path aligning with your greatest potential and a truly magical and fulfilling life. Strengthen your inner light so you can deliver Spirit-inspired messages with trust and confidence and cultivate a life of balance between worlds. Join me for an unforgettable life-altering program with Spirit – among friends and the sacred community of your soul family. Bonnie’s style of teaching is full of love and compassion, yet she knows how to get you to strive to be the best you can! Bonnie challenges and stretches her participants in ways that bring tremendous growth. 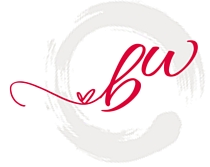 Her course outline can be read on her website, but what you don’t get to read is how connected and supported you will feel, both by Bonnie and the community she creates to support and encourage you. I feel I am better prepared to help those in need because of Bonnie’s guidance and the Advanced/Masters Program. Get ready to expand and be pushed outside your comfort zone like never before. Program tuition is $3250.00 Canadian Funds plus 5% Goods and Services Tax. Pay in full to receive one of my special bonus offers! 50% tuition is due at the time of registration. 2nd Installment due on/before October 1, 2019. 3rd Final installment due on/before December 1, 2019. Meals, accomodation and transportation not inlcuded unless otherwise indicated. If you are willing to push yourself to a higher level in your connection with Spirit and elevate the quality of your mediumship readings as well thrive in your life, this program is for you! Now that you have a solid foundation in the theory behind mediumship, you will now be lovingly pushed out of your comfort zone. Refining, perfecting and validating evidence from Spirit to give concise accurate messages. 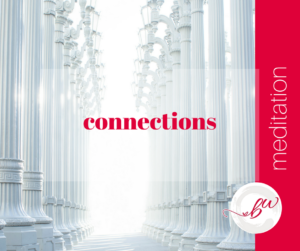 Creating and sustaining a consistent link with Spirit for rapid ,easy connections in service to others and to support greater happiness in your day-to-day life. Go from conserving energy to accessing the Universal stream; come away from readings re-energized! Understand the unfoldment and changes in mediumship; blending with Spirit and “blind” connections. 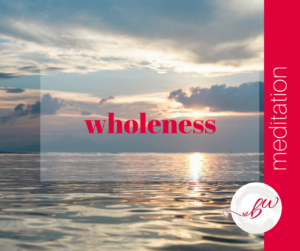 Restore your Etheric, Auric and Physical Body; experience balancing and activation on all levels to become “Whole” the way you were intended to be. Entrust the help of Spirit to expand your work in the world as you follow your passions and learn how to cooperatively create a life that is fulfilling for you on every level. To launch this program, the group will meet in person for a 3-day workshop in Calgary, AB Canada where participants will have the opportunity to meet each other, do a mediumship foundation review, extensive reading practice including one-on-one and small group as well as receive Alignment and Blessing to reactive the DNA strands to begin the energetic restoration of your Etheric, Auric and Physical Body, and begin officially being our journey together in this advanced master program! Following the launch, we will continue with regular online classes including home study and practicum assignments. Facility location and address along with other important details will be emailed directely to particpants. Continental breakfast and lunch included. Kitchen facilities available. Accomodation. There are (7) private 1-Bedroom with full bath guest rooms available at special nightly rate with paid registration. These won’t last long! Contact me to confirm your reservation! Register today to receive one of these special BONUS offers! BONUS OFFER #1 Early Bird Upgrade – Valued over $1,000! Register on/before July 1, 2019 with FULL payment to receive….